On Saturday 2 November, the Chairman of the Trustees of the Friends of the Ordinariate, Nicolas Ollivant, attended the parish Requiem for All Souls’ at Our Lady of the Assumption & St Gregory’s Church, Warwick Street. Also present was his predecessor as Chairman and fellow Trustee, Peter Sefton-Williams. The Mass was offered according to the Ordinariate Use by the parish priest, Fr Mark Elliott Smith, who was assisted by fellow Ordinariate priests, Fr Alan Griffin and Fr Anthony Watkins. It was celebrated in the presence of the Ordinary of the Personal Ordinariate of Our Lady of Walsingham, Mgr Keith Newton, who attended in choir. 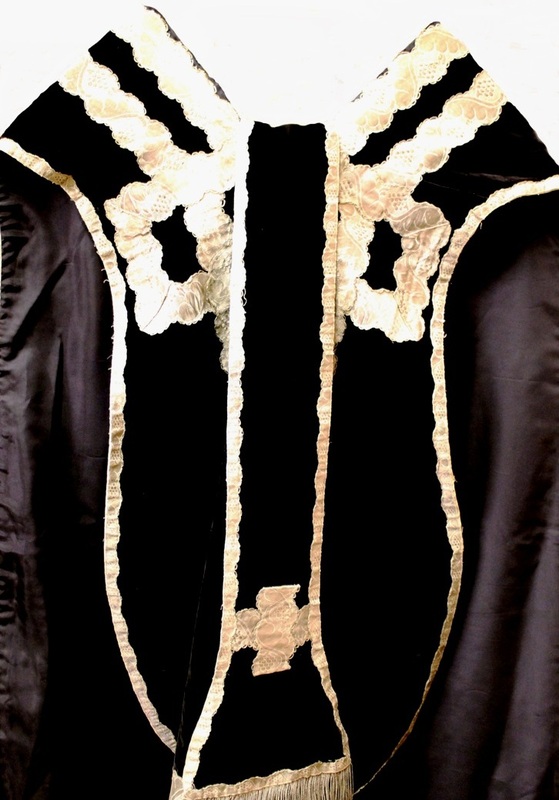 Old black and silver vestments belonging to the parish treasury were used for the Mass, which was set to the Duruflé Requiem. The psalm was set to an Anglican setting, and the Last Gospel, an option within the Ordinariate Use, was read.